Abstract: This lecture builds upon the themes explored in my book Reasoning with God: Reclaiming Shari’ah in the Modern Age. The lecture will address the theological and historical place of Shari’ah within the Islamic faith. I will address the development of Shari’ah as a unifying and inspirational normative paradigm within the Muslim historical experience focusing on the epistemological and normative demands of an ever-changing sociological reality that delimits and deconstructs Shari’ah in the modern age. The path of any discourse on Shari’ah is fraught with potential and actual moral pitfalls and failures that challenge the very usefulness of the idea of Shari’ah to Islam and Muslims in a globalized and increasingly shared human experience. Nevertheless, I argue that Shari’ah remains a necessary and compelling concept for modern Muslims, and that the Shari’ah is rooted in a normative system that has an ongoing unspent and perhaps untapped potentiality and trajectory for Muslims today. 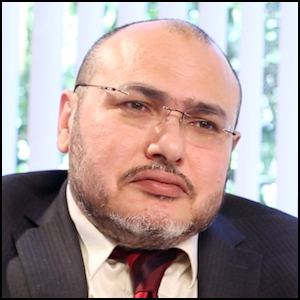 Biography: Professor Abou El Fadl is the Chair of Islamic Studies Interdepartmental Program at UCLA. He was awarded the University of Oslo Human Rights Award, the Leo and Lisl Eitinger Prize in 2007, and named Carnegie Scholar in Islamic Law in 2005. A prolific scholar and prominent public intellectual, Dr. Abou El Fadl is the author of 14 books (five forthcoming) and over 50 articles on various topics in Islam and Islamic law. His most recent works focus on authority, human rights, democracy and beauty in Islam and Islamic law. His book, The Great Theft, was the first work to delineate the key differences between moderate and extremist Muslims, and was named one of the Top 100 Books of the Year by Canada’s Globe and Mail. His book, The Search for Beauty in Islam: A Conference of the Books, is a landmark work in modern Muslim literature.